Save $50 by paying the full amount. 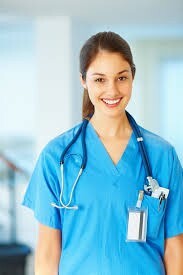 New Hope Medical Training is now offering the NC state approved Nurse Aide I course. This course is approved by the NC Board of Nursing. Pay here to pay your deposit to hold your seat!!! A Criminal background check, a TB test, and a copy of your high school transcripts are needed after you complete this registration. This is not included in price. After you make your payment , you will be directed to our student portal for instructions. If your application is not approved you will get a refund of money paid toward tuition only. Application and registration fee of $100 and money paid for criminal back check is non-refundable. Today is the day! We look forward to helping you reach your goals of becoming a CNA! Click here to view and print our school policies and refund policies.